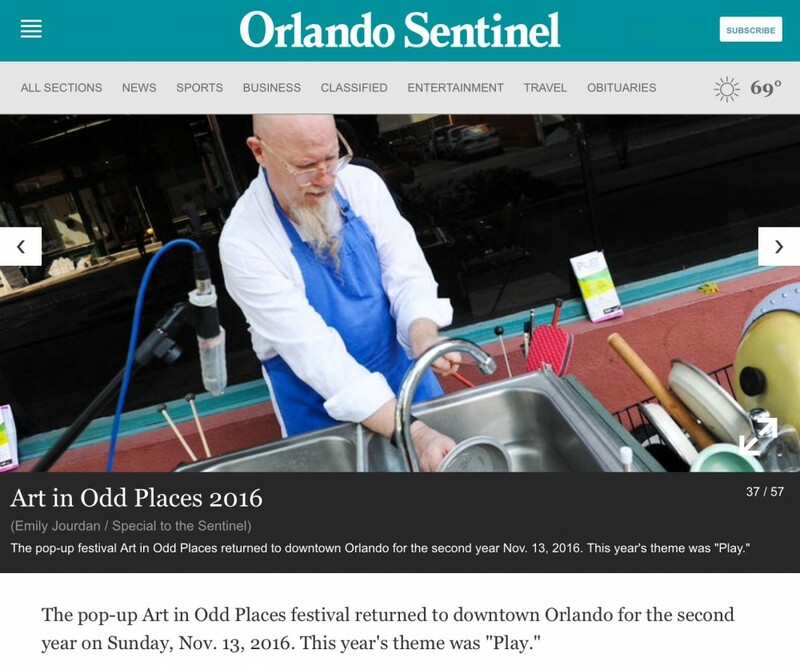 In Nov. 2016, Klimchak participated in the second Art in Odd Places Orlando event. He composed and performed an original composition titled When You Whistle, It’s Not Work. For his performance, Klimchak designed & built a musical instrument made from a kitchen sink, which contains elements of percussion, string instruments, wind instruments and vocals along with electronics to record and loop his performance into multiple layers. In When You Whistle, It’s Not Work, Klimchak literally transforms work into play by making music on the ultimate drudge device, the kitchen sink, which is normally thought of as a tool for the most hated kitchen task, washing dishes. The performance blends modern classical music with the joy of a young boy playing on pots and pans in the kitchen. 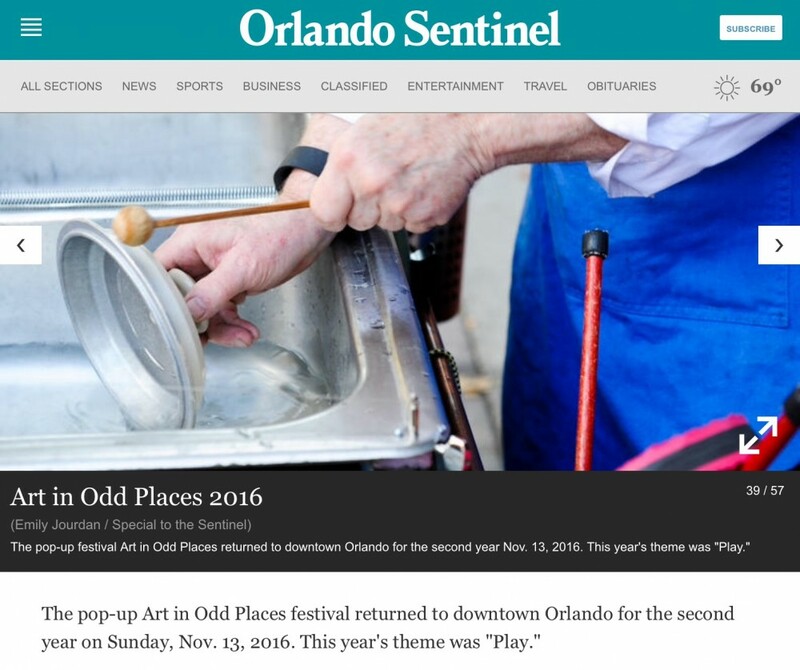 a photo in the Orlando Sentinel Newspaper of klimchak performing “When You Whistle, It’s Not Work”.